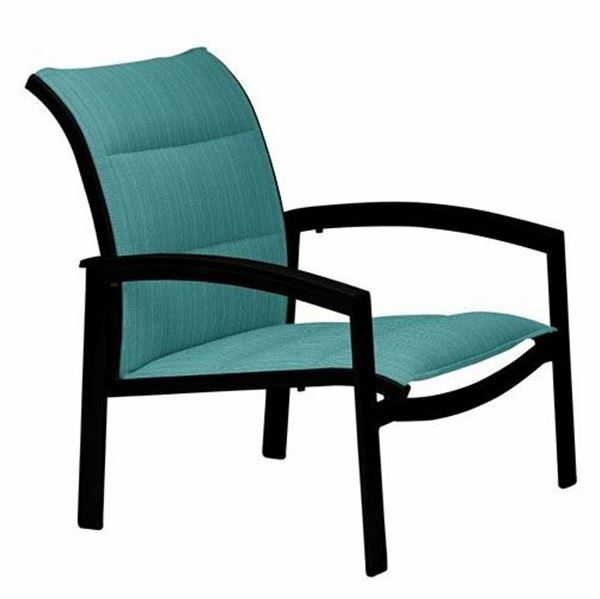 The Tropitone Elance Padded Sling Spa Chair is a perfect height for guests to sit close to the pool and cool their legs off in the refreshing water. The comfortable padded sling is made up of three parts: a sling material back, a cushion fabric front, and a semi-plush fiberfill middle. This results in a relaxing seating that can air dry quickly. 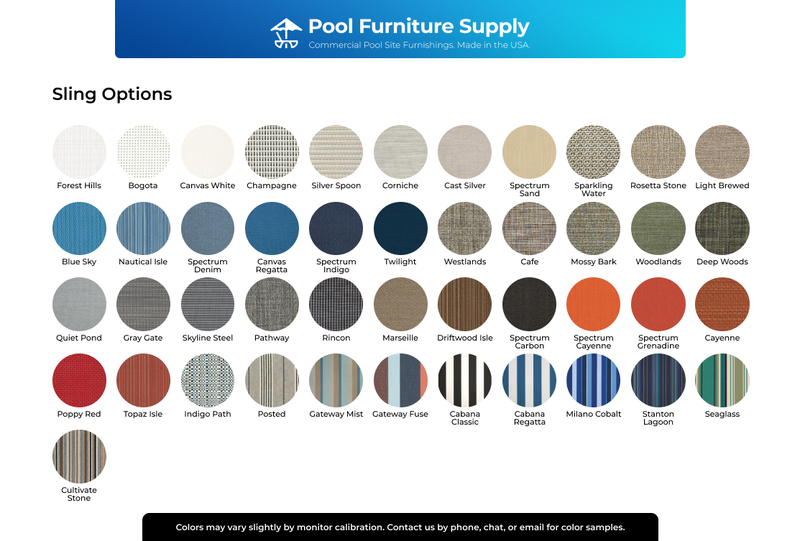 Select the colors for both the front and back materials to complement your poolside colors. 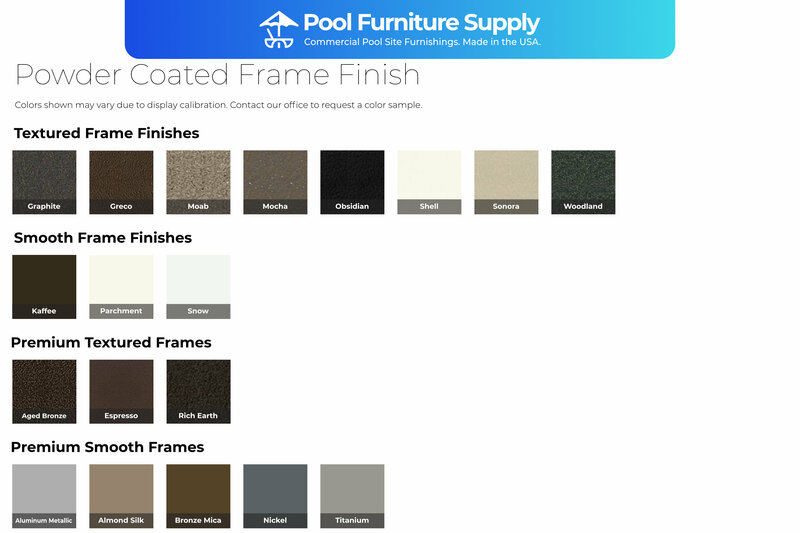 Tropitone pool and patio furniture have been requested by hotels and resorts for decades due to their reputation for high quality and style. 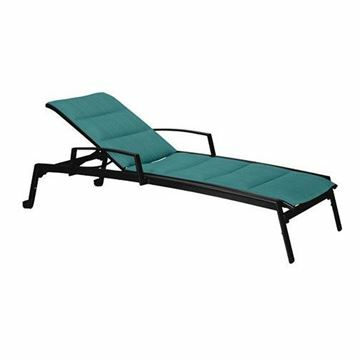 Features comfortable arms for support, relax in style by the pool or the beach in this sand chair. • 11.5" Seat Height Arm Height: 18"